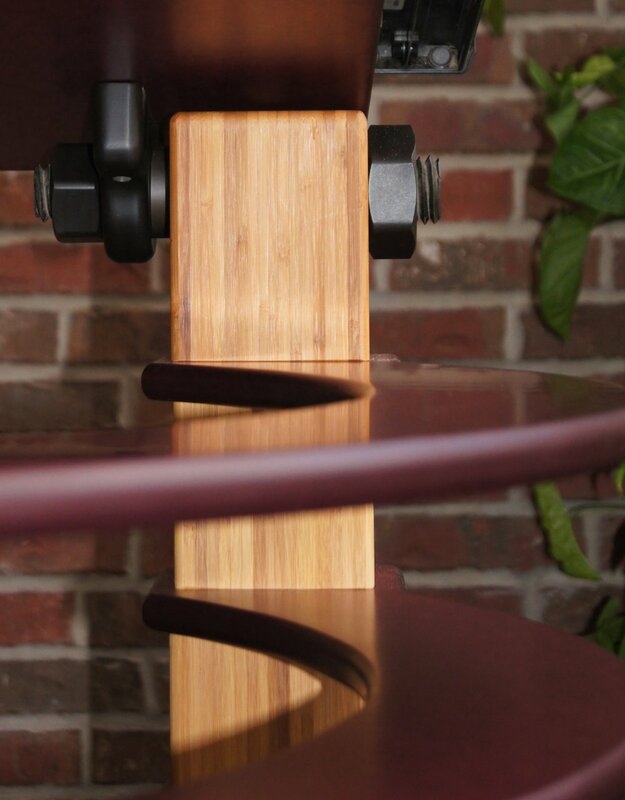 Bamboo Gallery I — Tech Product Specialties, Inc.
What could you do with bamboo? The world around us is alive with technology and yet we cling to the properties of nature to yield a feeling of comfort in our constructed environments. In the process of taking bamboo from a stalk to turning it into plywood it is touched by technology multiple times. And then we can take that product and touch it again, invent new things to make out of it and create designs that just can’t be done out of other materials…just because it’s bamboo. ^ A cooling plate mounted in a cabinet of strand bamboo plywood. It makes a great way to serve cake at a wedding or salad at a patio party! Crafted of Bamboo Plywood and Lumber; the lines of the bamboo accentuate the angles and curves of this contemporary dispaly shelf and the things displayed upon it. Dimensional Bamboo Lumber stands out against the darker plane of the top and arcs of the sides of this custom drafting table. Built for a living/designing space…..It just doesn’t need to be subtle.